John Jackson, Ph.D. researcher from the University of Sheffield's Department of Animal and Plant Sciences and lead author of the paper, said: "Our model suggests we may see declines in captive elephants for up to 50 years so we must now work to ensure that the captive population is sustainable. With so many Asian elephants in captivity, we must safeguard both captive and wild elephant populations and the people living and working alongside them for the future of the species. "One hopeful result is that we may see improvements in population growth if we are able to improve the survival of young elephants by just 10 per cent. This shows we can really make a difference by improving welfare for these vulnerable individuals in captivity." He added: "Many of us have the opportunity to visit captive elephants used in tourism, particularly in Southeast Asia. 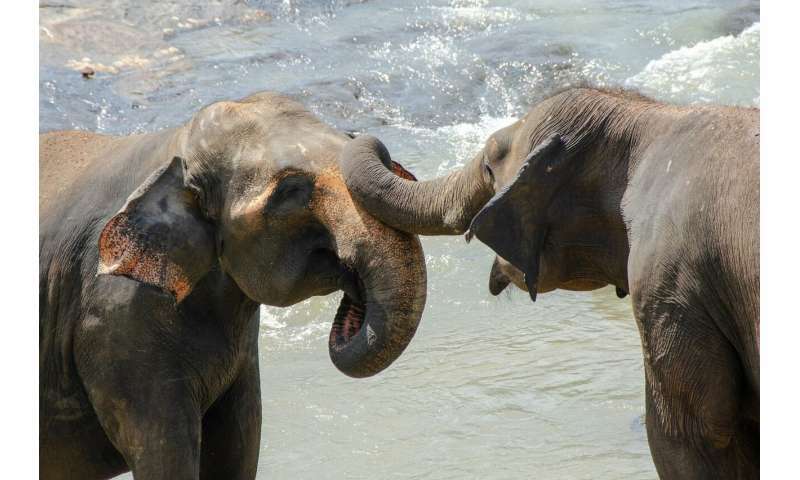 We all have our part to play to ensure that the welfare of captive elephants is improved and this may have a positive effect on Asian elephants globally." Professor Virpi Lummaa, from the University of Turku, who led the research, said: "The dependence of captive elephant populations on capture from the wild in the past is truly alarming. The problem with elephants is that they take so long to grow and reproduce and have very complex social lives, making them vulnerable to population declines when disturbed." Elephants may be intelligent enough to benefit from wearable computers with tongue-based input to control the cursor. If we have large captive populations we could figure out a workable version that would benefit them more than anything else we could do.